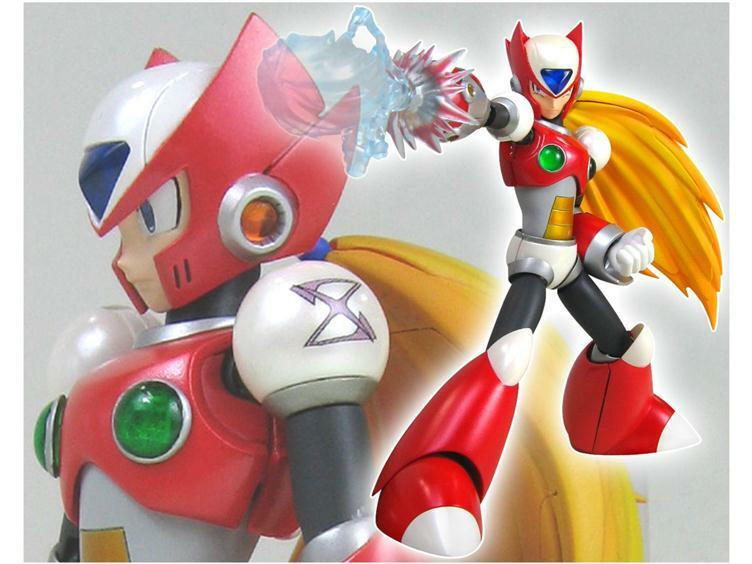 Reader Joseph Collins linked me up to this page, which has a nice, in-depth look at the Rockman X figure due out in May in the U.S, and later this weekend in Japan. 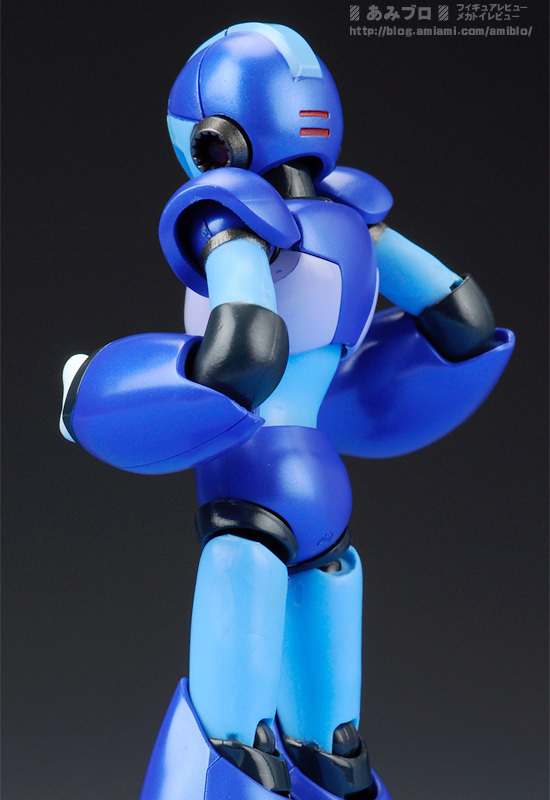 AmiAmi's blog has taken the liberty of snapping several photos of the figure in action from every possible angle. There's quite a few of them, too, so check out the preceding link for the full set and below for a small morsel. To answer a few questions I've received recently, yes, X is headed Stateside. Adam Newman of Bandai's Collector's Toy Department has personally confirmed with me the figure is US-bound, and already a handful of retailers have begun offering pre-orders, such as Big Bad Toystore and Entertainment Earth. Of course, if you're too impatient, you could always import! Pretty spiffy stuff here: Archie Comics has released a trailer to get you pumped and ready for the May 11th debut of their Mega Man comic series. No, it's not movie trailer quality, but it gets the job done and the point across: the comic is going to be awesome. Mega Man Issue #1 will hit North American newsstands on May 11th (May 4 for subscribers). Get equipped with a subscription at Archie Online. Barret seems to be capable of using Special Weapons, if this gatling gun screen is to go by. The middle shot depicts a biker-dude, whose appearance and dialog suggest that he's a more "involved" character rather than your run-of-the-mill NPC. Finally, our first look at Tron! 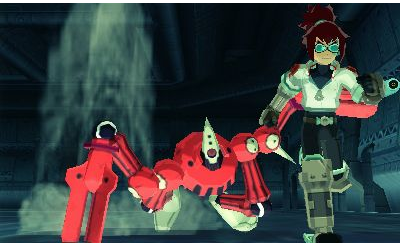 Contrary to what her character profile over at the DASH 3 site suggests, Tron is rocking her classic MML1 and MML2 look. For more screenshots, head on down to 4Gamer! 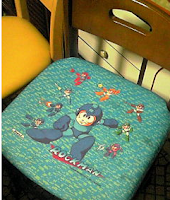 2003 to '04 marked a time when the Mega Man brand was everywhere. 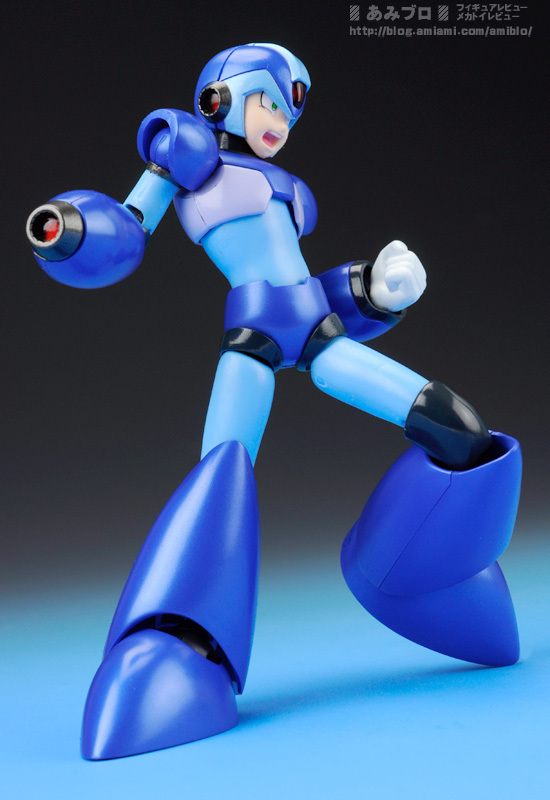 The franchise's fifteenth anniversary induced the release of a slew of officially licensed Mega Man products. Capcom partner with the likes of Jazwares and Artbox, to Dreamwave and Disguise Costumes to ensure the franchise was branching outwards to as many markets as possible. 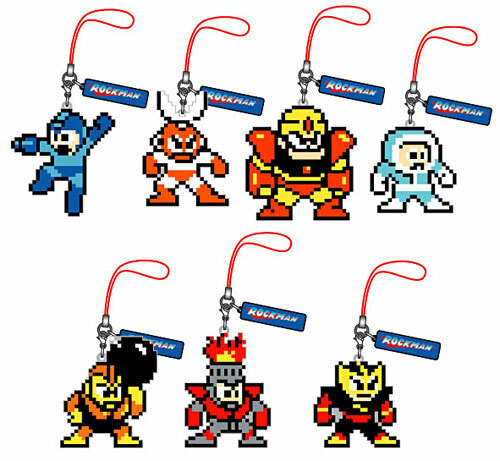 One of the more interesting products released in that period were the Mega Man costumes. 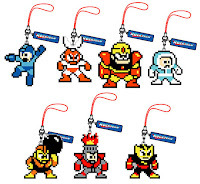 In the summer of 2004, Disguise was awarded the rights to produce official Mega Man halloween costumes and party favors (which never surfaced). Later that fall, two child-sized costumes shipped out: Zero (X series) and Mega Man.EXE (Battle Network/NT Warrior). 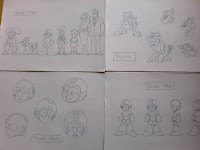 Helping to raise awareness for the costumes, a series of advertisements were inserted in the backs of a number of Mega Man game manuals from the era. Seriously; check out the back flaps of your X7 or Command Mission's manuals. The costumes were, to my knowledge, not a huge success, but remained mostly sold out during the season. Nowadays, they're collector's items. A quick Ebay search reveals both costumes are up for grabs, each priced at a "buy it now" at around $29.99. I doubt you'll be wearing 'em, but if you're looking to add a little more obscurity to your collection, you can't go wrong with these guys. Check them out if you're interested: Zero here; Mega Man here. 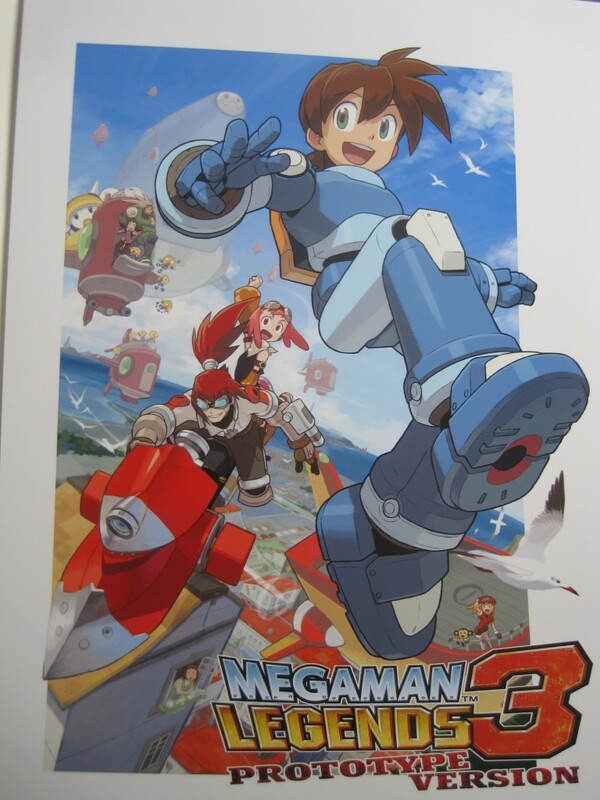 Members of the gaming press are reportedly recieving a Mega Man Legends 3: Prototype Version poster in the mail directly from Capcom -- a possible indication that Legends 3 will, in some shape or form, be present at this year's Electronic Entertainment Expo (E3). A PRC reader (who wishes to remain anonymous), received the 12x18 poster (pictured) alongside his lanyard and paperwork upon registering as an attendee a week ago. The poster came with a plethora of other gaming goodies as part of a press kit. Due to an NDA, our tipster could not disclose those contents. 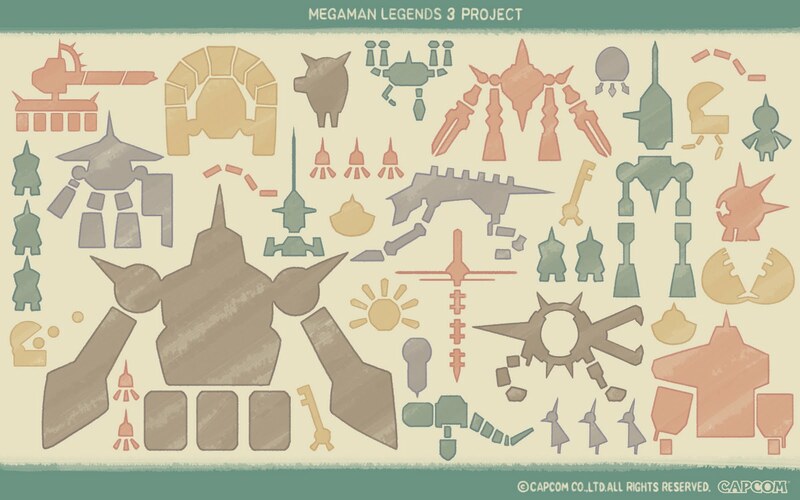 The poster's art spotlight's Legends 3: Prototype Version. 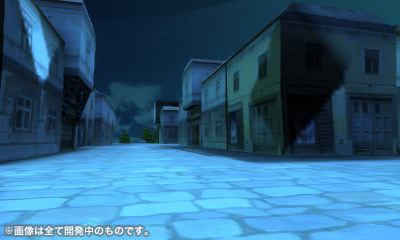 However, it's doubtful Prototype Version itself will be exhibited; PV would already be available before June 6 for download by the masses. With any luck, E3 may provide first details on Legends 3 itself. Capcom has yet to reveal what titles they intend to show off at this year's event, but those details should trickle out closer to June. 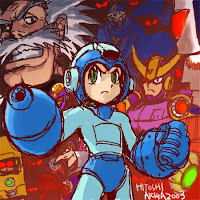 It's been a long time coming, but it looks like Rockman Maniax -- a compilation of Hitoshi Ariga's fan-art from before he penned Rockman Megamix -- looks to finally be releasing this summer. 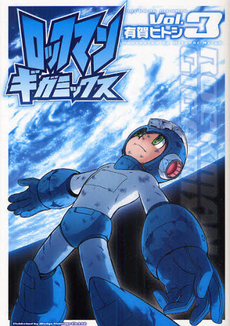 A recent update to Brain-Navi's release schedule (publisher of numerous Rockman manga in Japan) shows Rockman Maniax listed for an unspecified June 2011 release. Given Brain-Navi's recent history of listing upcoming titles before they're officially announced, count this one as a legitimate leak. Maniax, actually, was announced way back in 2008 in celebration of Rockman 9. 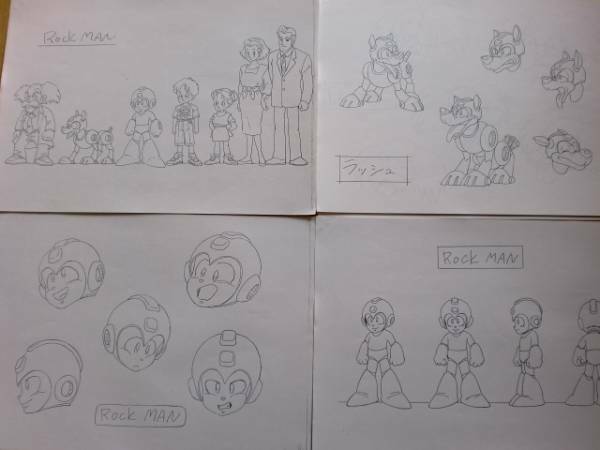 According to Ariga, the book would collect a number of Rockman-based art he drew before he wrote and illustrated Rockman Megamix and Rockman Remix. 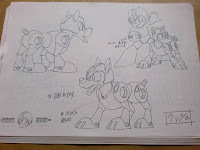 Bits and pieces of this art has been shared on his personal blog and other publications in the past, but never in a single volume. 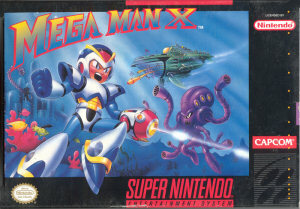 Time went by, and we never heard of Maniax since. 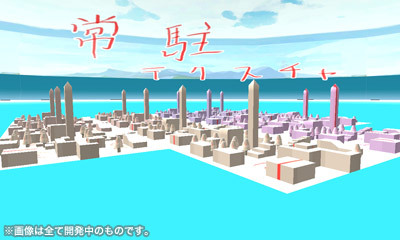 Since three years has gone by since the original announcement, the content of Maniax could have changed greatly. For all we know, it might not be a collection at all anymore; maybe Maniax is an all new story-based manga? We'll have to wait this one out until more details arise. I'll keep you posted. 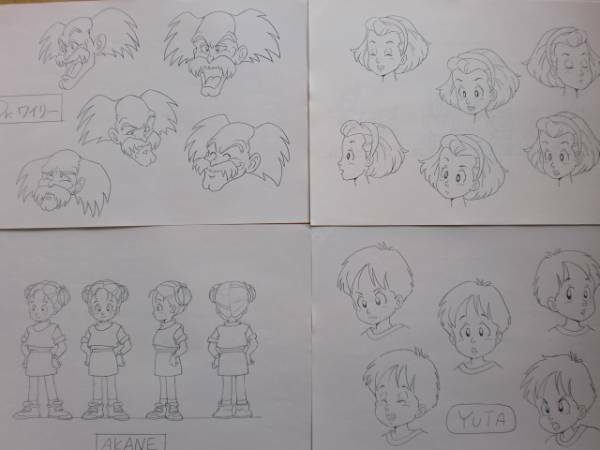 UPDATE: Maniax is now said to contain the original Maniax gag-strips from 1997 and “Destruction Order” and “Rockman X Megamissions” comics from Rockman Remix. Source. 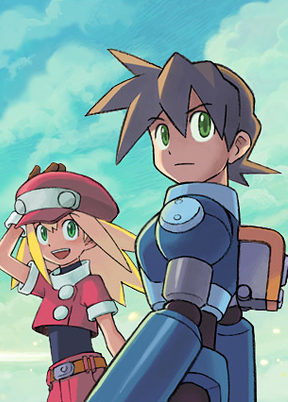 Lost in the flurry of last week's Mega Man Legends 3 news extravaganza, Udon Entertainment had two announcements of their very own. 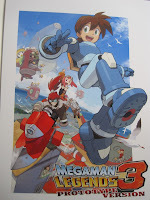 On Thursday, Udon revealed Mega Man Tribute Limited Edition, a special hardcover version of the book featuring exclusive art by Megamix, Gigamix illustrator Hitoshi Ariga. Limited Edition will be sold exclusively through Udon's very own online store, and is currently up for pre-order (ships July 27). The book will also premeiere at the San Diego 2011 Comic Con. Furthermore, Udon also revealed the complete list of artists who will be featured in the book. Over 100 talented fans have been chosen! See if you made the cut right here. If your piece is in, you should have received a congratulatory e-mail from Udon a short while ago. If you've yet to receive the message, shoot Udon a email artwork@megamantribute DOT com. Congrats to all the winners! I look forward to checking out all your work in this amazing compilation! "the heat and excitement surrounding this downloadable title would determine whether or not the full game could be greenlit. If hype is strong, the full title will be a go. If not, it’s a no-go. I don’t even want to think about that outcome! "Hype" is more than likely a substitute for the word "sales." 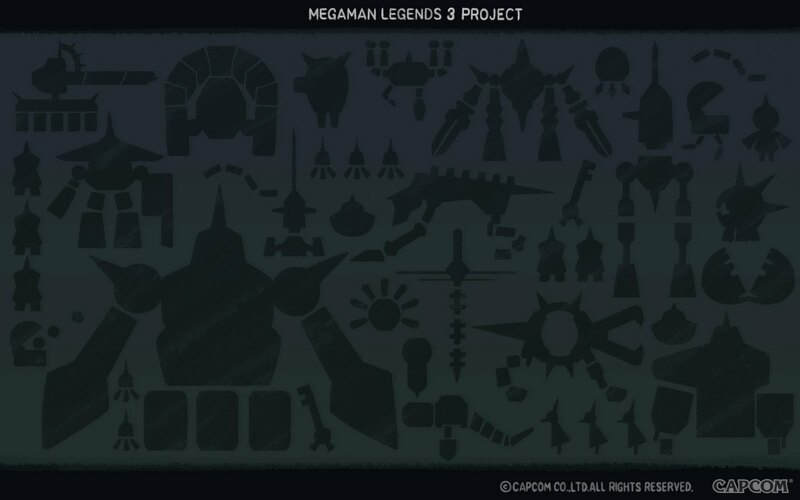 Long story short, if Prototype Version meets Capcom's projected sales expectations, subsequently proving there is a demand for Legends 3, the project will be green-lit. 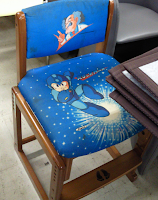 Capcom is merely seeking reassurance the title will sell. Yes, the Devroom is buzzing with heat and excitement, but that doesn't necessarily translate into sales. Prototype Version will assess just how strongly that hype really is. 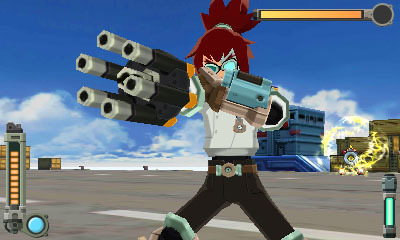 Mega Man Legends 3: Prototype Version launches this May for a mere $2.00*. The official Japanese Rockman DASH 3 website has received a hefty overall. While the site doesn't house any new information in terms of the actual game itself, it does boast a few nice features. Upon entering, you'll be greeted with an absolutely lovely remix of the Flutter theme. On the left pane, you'll find a new section devoted solely to Barrett's gameplay, which offers some brief video explanations about the numerous actions he can perform. 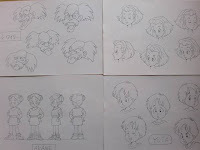 A new character section touts a handful of images of the game's main cast. 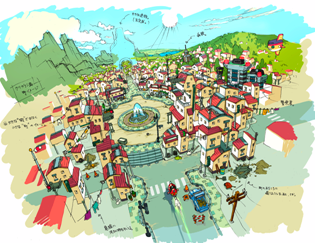 Scroll through the pages and you'll come across new artwork of Barrell, Data and Roll. As noted over at The Mega Man Network, the character section lists the Bonne Family as "in-development." In other words, we can infer that they, like Rock and Roll, will be receiving make-overs as well. 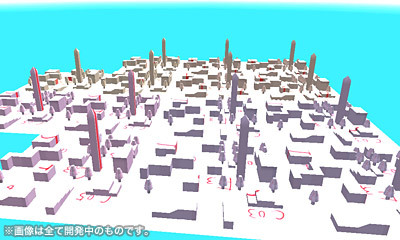 This section also plays host to a viewable 3D model of Barrett; click here to check it out. Last but not least, a download section has gone live, as well. Here, you'll find a Barrett-themed wallpaper in addition to the promise of more content in the future. Check out the full site here! Though it may not be in your language, it's fun to just click around and discover. Thanks for the tip, Allen! To reiterate, all of today's footage comes from Mega Man Legends 3 Prototype Version. 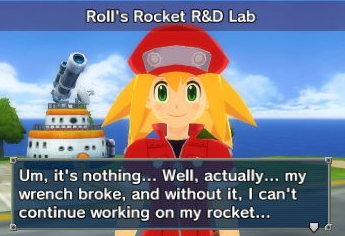 MML3PV is but a work-in-progress sampling of the long-awaited sequel; as such, what you see here may change in the final product. 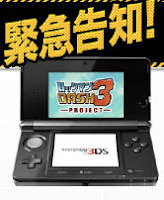 Prototype Version will launch in May with the release of the Nintendo 3DS eShop. Coinciding with the trailer's release, two new Devroom reports: Voice Recording Report Part 5 and Eguchi's commentary on the 'Big Announcement.' Do check them out when you get a chance as they contain new details into the identity of series new comer Barrett! Playing catch-up here; bear with me! 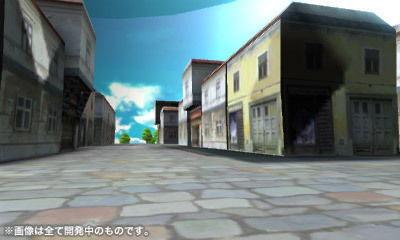 Here are some screens from Mega Man Legends 3 Prototype Version, the upcoming playable demo that's slated to hit the Nintendo eShop later this May. No sign of Mega Man Volnutt yet, so we can assume he's still stuck up on Elysium! Plenty more screens and artwork available for your consumption at the Devroom! 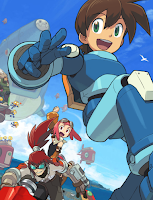 “After Years of waiting, the new installment of Mega Man Legends draws closer with Mega Man Legends 3: Prototype Version! 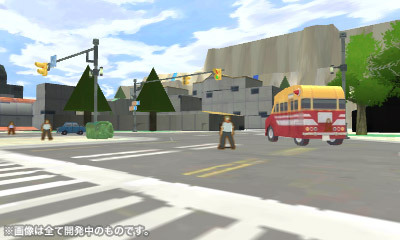 Available as a download, Mega Man Legends 3: Prototype Version will be a launch title when Nintendo eShop opens for business. 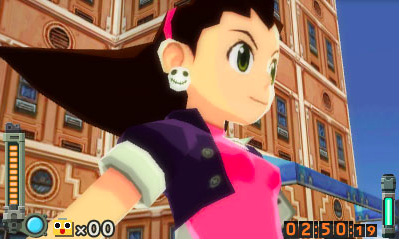 Mega Man Legends 3 is the first Capcom game to be co-developed by the fans. 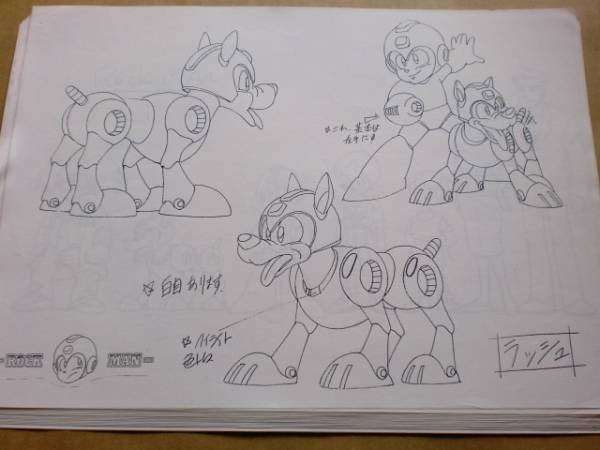 Prototype Version gives players the first taste of Mega Man's upcoming open-world action/adventure game, and lets them see the game still early in the development process. 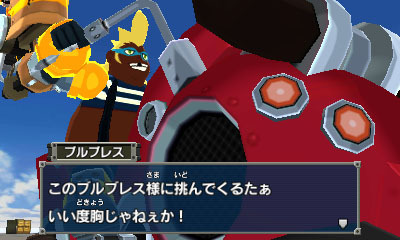 It also introduces a new character the the franchise, the reckless leader of a sky biker gang, Barrett. Be the first to try out his new close combat gameplay style, and see first-hand some of the fan contributions to the game come to life. Also, once you have finished the core missions, receive access to areas of the game not yet finished, as well as a debug menu that gives you special moves and abilities. 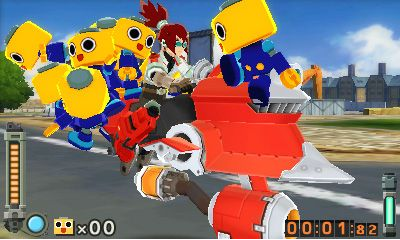 Head on down to Capcom-Unity for more details and first real screenshots of Mega Man Legends 3 in action! 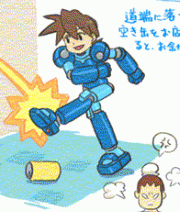 It remains to be seen if Mega Man Volnutt and Bullet will have their own respective missions, or if you choose who to play as whenever they please. Speculate away! 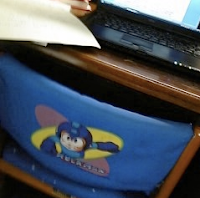 Archie Prepping Mega Man Compilation? 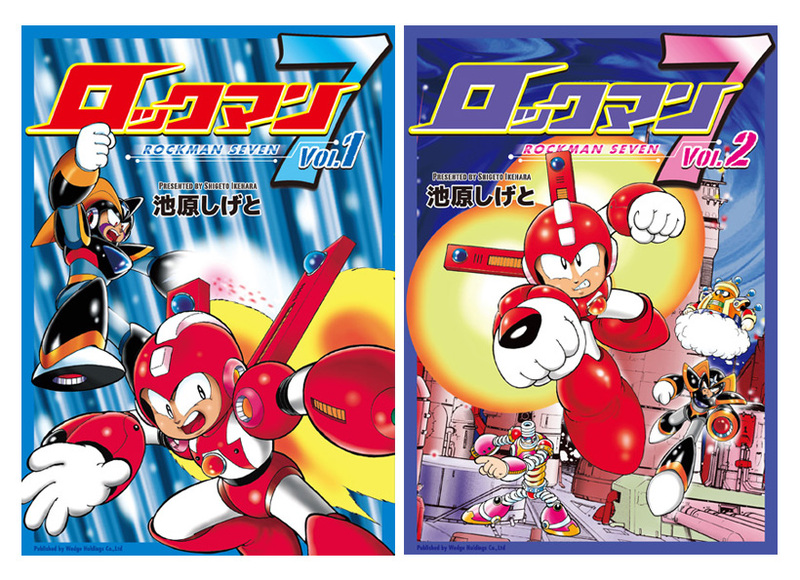 A recent listing at Amazon's North American branch suggests Archie Comics is the midst of preparing a paperback collection for their forthcoming Mega Man comic series. 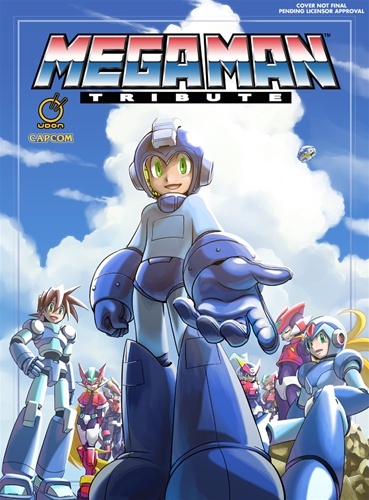 The book, entitled "Mega Man: Let The Games Begin", spans across 112 pages at $11.96, and will ship out at an undisclosed September 2011 date. The product's page length, price tag seems to carry the notion that the book is a collection of, at least, the series' first five issues (May through September), which doesn't officially begin serialization until May 4th. Why stop at issue five of a planned 12-issue series? Well, a compilation this early in the comic's life may even suggest that issues #1 to #5 encompass a single story arc. 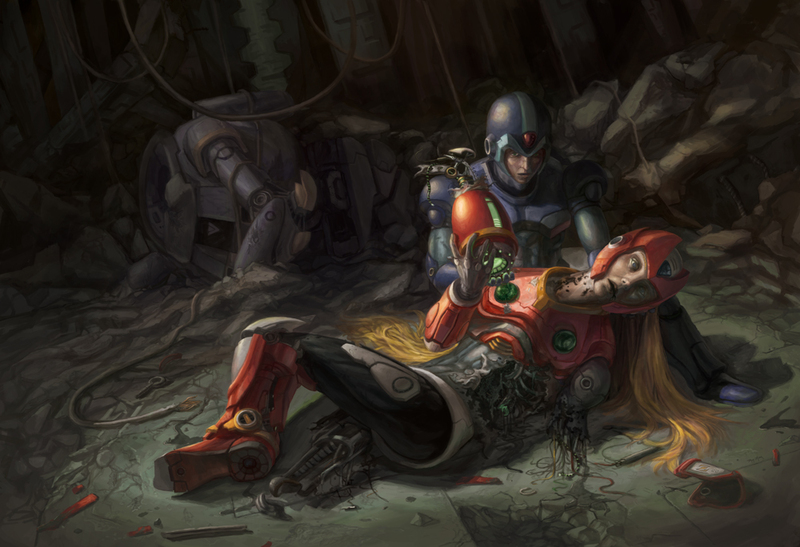 Lo and behold this awesome (and somewhat morbid) rendition of Zero's death in X1. I haven't felt this depressed towards the scene since, well, ever. Gosh, I mean just look at that; there's like this "holy" air to it. I don't believe I ever seen such a profound piece of fan-art before. Who knew one of the series biggest tropes could ever look this beautiful? Literally just before I hit the publish button on this post, I picked up on a neat little detail: what's Zero holding in his hand? 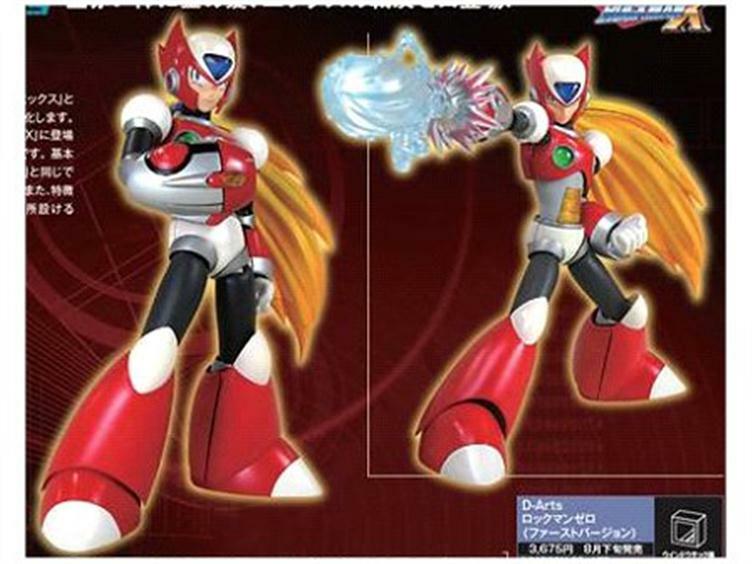 Yup, it's his arm cannon -- the "secret" buster upgrade in X1 given to players who passed up the traditional upgrade early on. Just one of many little details that help make the piece all the more epic. 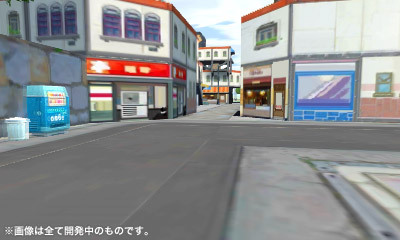 You can find the rest of the images at the Japanese Devroom here. Eguchi does speak a little about each screen, but a translation is currently unavailable. The English Devroom will have their own version of the story up shortly. I'll update this post as soon as it's published. For now, enjoy the screens! 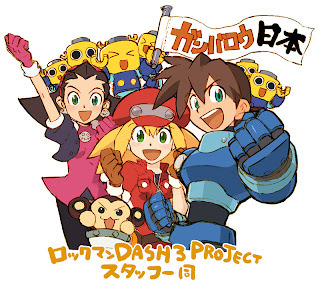 UPDATE: The Rockman DASH 3 official site is in the midst of an overhaul in preparation for April 21st's big announcement. In addition to bumping the game's development progress up to 25%, the site is teasing the unveiling of a brand new character. You can check out a silhouette of the character right here. UPDATE 2: The North American Devroom has uploaded the post in English. 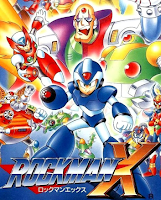 Rockman DASH 3 Devroom Returns! 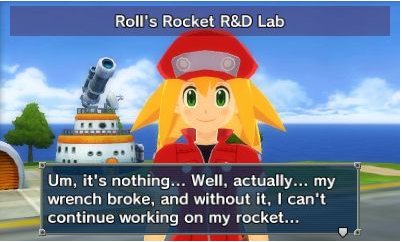 Following the disasters that struck Japan on March 11th, the Rockman DASH 3 Japanese Devroom went on a hiatus; the project's fate remaining largely uncertain thereafter. Tonight, with renewed spirits, DASH 3 producer Tatsuya Kitabayash has proudly announced the triumphant return of the Devroom. While there's no mention of whether or not the game has been green-lit during the hiatus, Kitabayashi declares the game's development will continue. The dev team's renewed spirits apparently come from a desire to make a game for the people. According to Kitabayashi, the will to make something enjoyable, something fun for those affected by the recent disasters, is fueling the game's production. To ensure this happens, the dev team is pouring everything they've got into DASH 3. 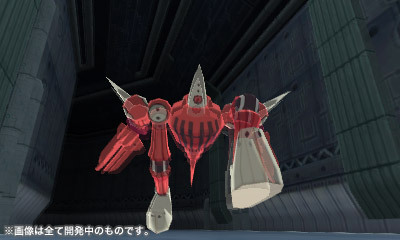 Complementing the Devroom's return, Kitabayashi shared the above image in support of the earthquake recovery efforts featuring the likes of Rock Volnutt, Data, Roll (with her fancy new outfit), Tron and Servbots. Certainly a sight for sore eyes, if I do say so myself. Worry not about DASH 3's production. This one's going the distance. Both volumes, original slated to ship at the end of March, are now looking to release on April 27. 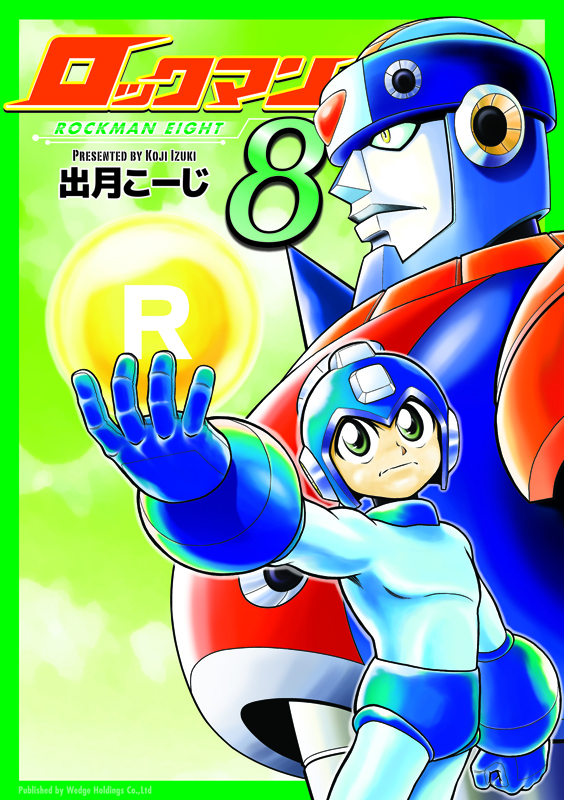 The Rockman 8 manga reprints, however, remain penned in for May. For now at least, the books will remain exclusive to Japan. 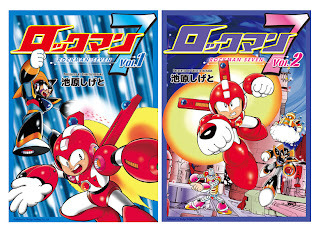 However, given Udon's recent track record of localizing new Rockman manga a year to months after a domestic release, we may yet see an English version of RM7. Fingers crossed!